If it's a raucous singalong you're after then best seek out a karaoke bar somewhere, but if sitting back and relaxing to the soothing sounds of one the world's most renowned choirs is more up your aisle, then take a moment to consider making your way along to Evensong at Westminster Abbey in the heart of London. Every day for more than 1,000 years, the interior of this historic abbey has been filled with music and song, much of it the work of the country's finest organists, singers and composers. Evensong takes place most days (check ahead for confirmation) and is operated on a first-come, first-served basis. It's brought to you by the prestigious Choir of Westminster Abbey. The choir is made up of 30 boys, all of whom attend the abbey's Choir School, and 12 adults, each and every one a professional singer. The choir has built up such a fine reputation over the years that they're often invited to sing at special events all over the world. They've even brought out a number of CDs, should you wish to have them fill your living room or car with their harmonious hymns. Entrance to Westminster Abbey usually costs £12 for adults, but for Evensong you can get in for free – and it takes place after regular opening hours, so the atmosphere is a whole lot more peaceful than when the crowds are milling about inside. Besides the choir, be sure to take a moment to fully absorb the majestic beauty of this ancient, mainly Gothic, structure. 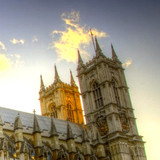 Lasting about an hour, Evensong at Westminster Abbey would be the perfect way to end a busy day sightseeing around the capital, leaving you suitably relaxed and ready for dinner. And don't forget - you don't have to be a believer to go along. Even ardent atheists can enjoy a decent choir, you know. Why? It's a free performance by a world-renowned choir in one of London's finest buildings! When: Most days, usually at 5pm, though check ahead for confirmation.